As nerds around the world fume over, what many agree is “a crime against comic book fans” and “the worst superhero film of all time“, one aspect of Zack Snyder’s controversial new film, Batman vs. Superman, has yet to be analyzed. I am, of course, referring to: (SPOILER ALERT) Lex Luthor’s argument for the nonexistence of God. Moments before the film’s climatic battle between two of the worlds most beloved heroes, the insidious Lex Luthor–portrayed in this film as a sort of morbid cross between Mark Zuckerberg, Victor Frankenstein, and Jim Carrey–delivers a good-ole-fashion super-villain monologue. One that explains his motivation for seeking to destroy Superman (a seemingly all powerful, godlike, being who writes the sports section at a local newspaper) and reveals the movie’s true meaning. That’s right folks, Batman vs. Superman is not merely a superhero flick; it’s an allegory. 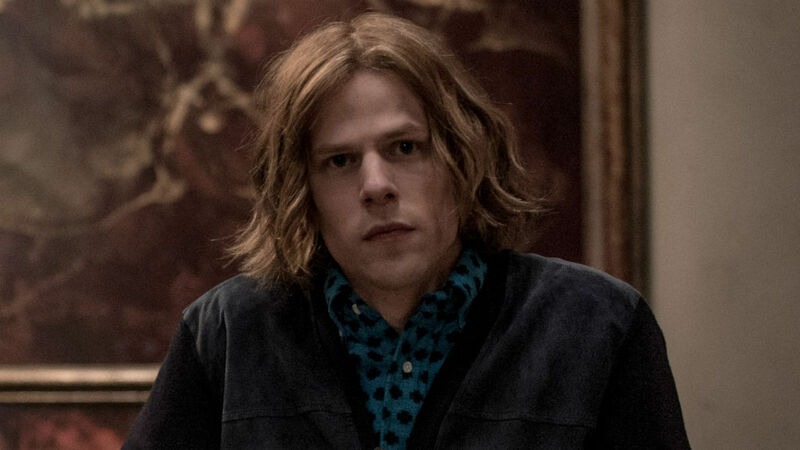 Lex Luthor is the personification of New Atheist Post-Enlightenment ideology: a zealous scientist hellbent on proving to the world that God (i.e., Superman) is neither omnipotent nor omnibenevolent and, thus, a sham. Batman represents man’s struggle (unwittingly spurred on by Luthor’s ideology) to overcome and ultimately defeat the God delusion; a delusion that many claim is harmless–and even beneficial–yet has the potential to destroy humanity. In short, Luthor’s speech reveals that the true conflict in this film is not between Batman and Superman; but, between man and God . . . or, at least, a particular conception of God. As a philosopher, I found this subversive underlying theme intriguing. Not the least of which, because it affords me the shameless opportunity to use pop-culture as a platform for having a serious philosophical discussion. Also, because it affords me the chance to correct several common misconceptions. Stated succinctly, Lex Luthor’s idea of God is so far removed from traditional Classical Theism (CT) it’s laughable. To demonstrate this, I will contrast Luthor’s conception of divinity with that of one of the greatest ancient exponents of CT: St. Maximus the Confessor. Then I will show how St. Maximus’ apophatic approach to theology provides a powerful response to Luthor’s argument for the nonexistence of God. We shall begin by examining Luthor’s conception of the divine, and his argument, a little more closely. Lex Luthor holds a grossly anthropomorphic view of the Divine Essence. His picture of ‘God’ is simply ‘man writ large’. In other words, he imagines God is something like a human being; only with unlimited power, unlimited knowledge, and unlimited goodness. These are all attributes Superman appears to possess: he is virtually an unstoppable and indestructible being, he can listen to any conversation, or radio transmission, or TV broadcast, around the world, and has unlimited access to a Kryptonian super computer–containing virtually all the knowledge in the known universe–and seems completely unimpeachable. 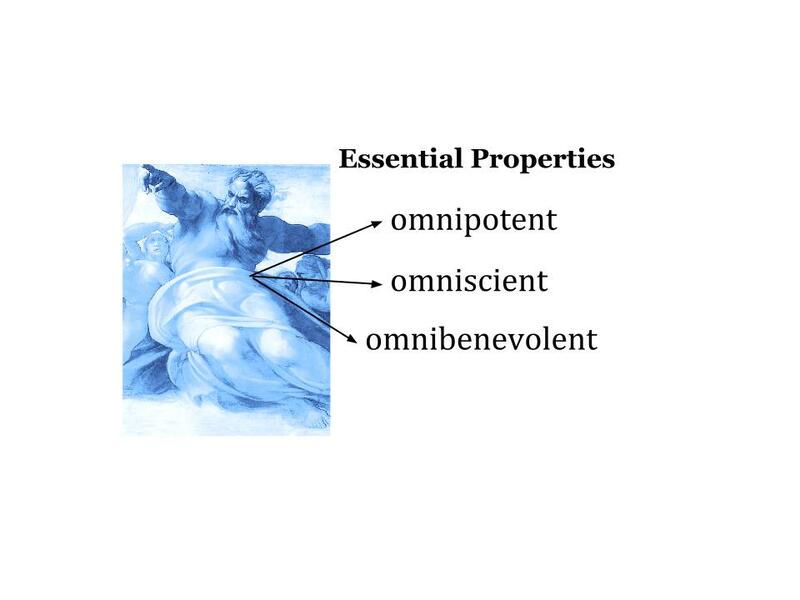 Luthor’s conception of God–which I’m going to call the omniGod thesis–entails the Divine attributes are essential properties of the Divine Essence. In other words, for Luthor, what it is to be God is to have: unlimited power, unlimited knowledge, and unlimited goodness. It is precisely this conception of the divinity (or something like it) that many contemporary arguments for the nonexistence of God are aimed at. One popular line of reasoning goes like this: If we identify something from general experience that conflicts with the notion that a single being possessing one or more of the divine attributes actually exists, then we can show that God (who, just is, a single being possessing all of the divine attributes listed) does not exist. Atheists, utilizing this type of argument, typically point to the fact of gratuitous evil to demonstrate that no omnipotent and omnibenevolent being actually exits. According to them, if such a being actually existed, it would, necessarily, ensure there was no gratuitous evil. In other words, if the omniGod thesis where true there would be no gratuitous evil. Since, however, we do experience evil, we can only conclude that God–conceived of as an omnipotent, omniscient, omnibenevolent being–does not exist. The argument above is what philosophers call the problem of evil. Interestingly, Lex Luthor utilizes a similar line of reasoning in his climatic rooftop monologue. In this speech, it becomes crystal clear that his stupid-elaborate plan to wrangle Batman and Superman into a gladiator style battle is motivated by his determination to prove the Man of Steel does not posses the essential properties needed to be divine. If Superman loses, and Batman kills him, he is not omnipotent. If Superman wins, and brings Batman’s head to Luthor, he is not omnibenevolent. As a backup plan, Luthor also hacks into the source of Superman’s omniscience (i.e., the Kryptonian super-computer) and uses it to create an abomination that will totally obliterate the Man of Steel; thereby proving he is neither omniscient nor omnipotent. No matter what, the outcome of Luthor’s allegorical battle will prove, definitively, that: God is Dead! When he says God is “inaccessible to all”, he is not claiming it is impossible to have a relationship with God. Remember, he is using metaphysical language. What he means is, ‘God’s Essence’ or ‘Divine Nature’–what it is to be God–is inaccessible to the human intellect. Rest assured, St. Maximus strongly emphasizes the fact that we can enter into a direct personal relationship with God in his other writings. The point, in this passage, is to establish that we have no idea what God’s essential properties are. 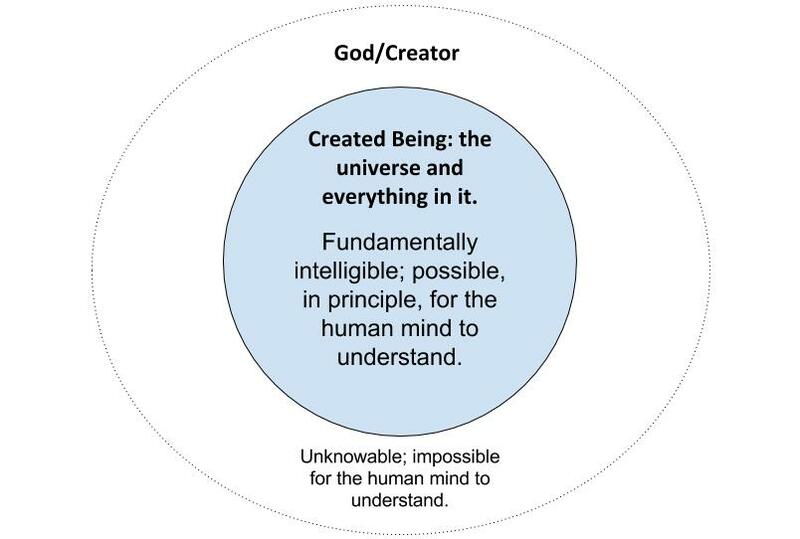 In other words, creation (which encompasses everything in existence outside of God) is fundamentally intelligible. This means it is possible for the human intellect to grasp it, to define it, and to explain it. The Creator, however, exists outside of the universe; and we simply can not grasp the nature of something outside the universe. We can, according to Maximus, know that the Creator exits; but we can’t say what he is. It may have occurred to you, by now, that CT is completely immune to arguments for the nonexistence of God like Lex Luthor’s. Why? 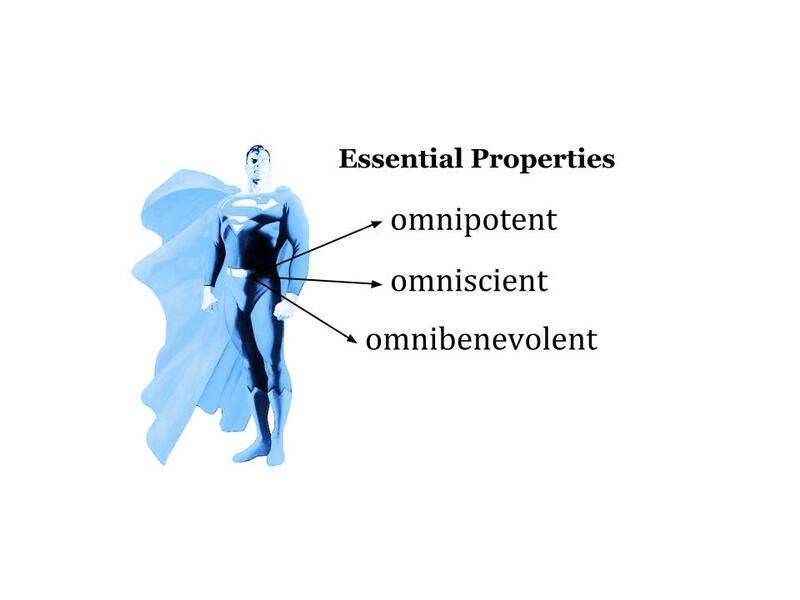 Because Lex Luthor style arguments are aimed at the omniGod thesis; which assumes God’s attributes are His essential properties. According to proponents of CT like St. Maximus, this couldn’t be further from the truth. For him, the attributes are either negative statements (with no positive content) or grounded in God’s energies (i.e., his active presence in the world). For example, to say that God is omnipotent is really just to say: God does not lack power. This is a negative–or, apophatic–statement with no positive content. Positive statements can be made, but are made in reference to God’s energies (not to His essence). For example, when we say that God is good or just, we are not referring to His essence but to His energies. We come to believe God is good or just because he reveals Himself as good or just through His real presence and interaction, in history, with people and in the world. All things considered, Lex Luthor is, not only, a disappointing super-villain, but a lackluster philosopher. Posted on April 12, 2016 April 15, 2016 by J. Matthan Brown	This entry was posted in Apophaticism, Atheism, Christians in Culture, Philosophy and tagged apophatic theology, Apophaticism, atheism, Batman VS Superman, Christian Philosophy, Classical Theism, Eastern Christianity, Justice League, Lex Luthor, Movies, Natural Theology, Nonexistence of God, Philosophical Theology, philosophy of religion, St. Maximus the Confessor, Zack Snyder. Bookmark the permalink. God’s “energies” vs God’s “essence” seems like a distinction without a difference – as does the emphasis on negative rather than positive theology. They only work to muddy the issue. Consider: we are either able to say something about God, or we are not. If we can’t say a single thing, if God is completely unknowable, then I daresay theologians have precious little to write about. Those things we *can* say about God, be they apophatic or cataphatic, constitute God’s properties. If those happen to logically contradict themselves (e.g. Epicurus’ trilemma) then either God is a fiction, or one or more properties are in error. The second-to-last paragraph suggests that you embrace the latter explanation. But would you honestly stand on the pulpit and announce that God is not actually “good or just”? Hey David, thanks for this excellent comment! I do think the essence/energies distinction is real, and has very important implications for philosophy of religion (and metaphysics in general). I agree, however, that I said very little about this distinction in the post; and that it could be explained with far more detail and examples. It’d be foolish to attempt to do that here in the comments; but, I’ll plan on writing on this soon. Should you be interested in studying up on this yourself, I highly recommend_Aristotle East and West_by David Bradshaw. As always, I really appreciate your comments my friend.